Big hit with the family, because of the paper cases they were so easy to handle and eat on the go too. And no messy clean ups! Big flavours here, used a bag of mixed cheeses of which for sure I will never be again to obtain the exact same kinds. But that's life..never the same river twice. Oh I splurged this time and used cream. 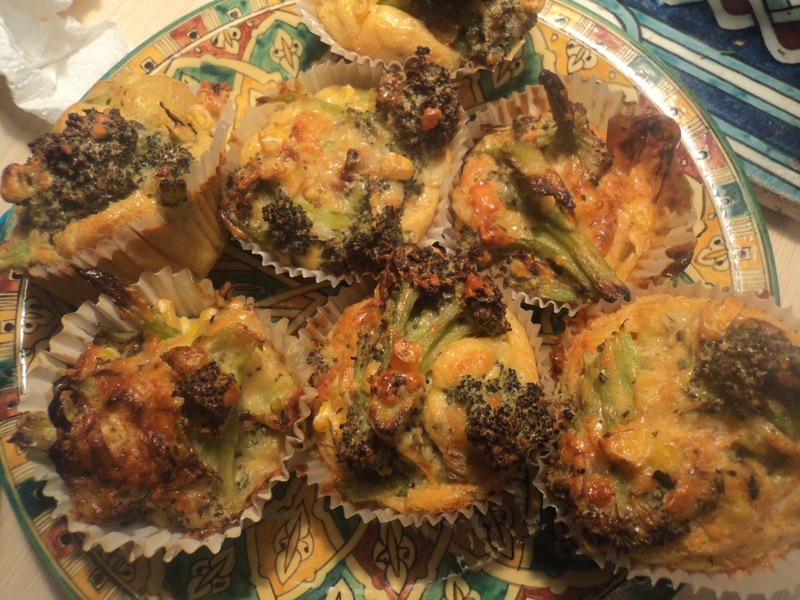 Eggs and grated cheese, 2 tbps of flour, sweet-corn and post-steamed broccoli (as small as you can be bothered to make them). Mix and pour into the paper cases. Bake at 180 till done.